It is estimated that every year over 4,000 pedestrian are killed and over 69,000 are injured in traffic accidents in the United States. Many are killed while changing a flat tire during low visibility conditions. You Deserve To Come Home. Rubber Pad for Knee Support and Protection – Protects knees and garments against uneven surfaces, gravel, dirt, moisture, snow, mud, etc. Made from recycled rubber (Patent Pending). Electric LED Safety Light – Shatterproof and water resistance. Features two flashing patterns. Visible over one mile away. Over 100 hours of battery life (flashing mode). Can be attached to any metallic surface or place on the road as a safety flare. 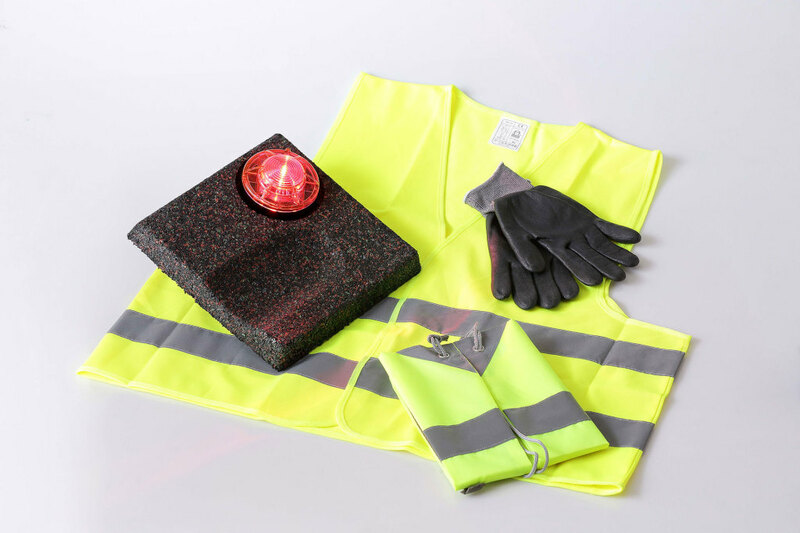 Safety Vest – Custom design safety vest with highly visible reflective tape (ISO 20471 and ANSI 107 Compliant). 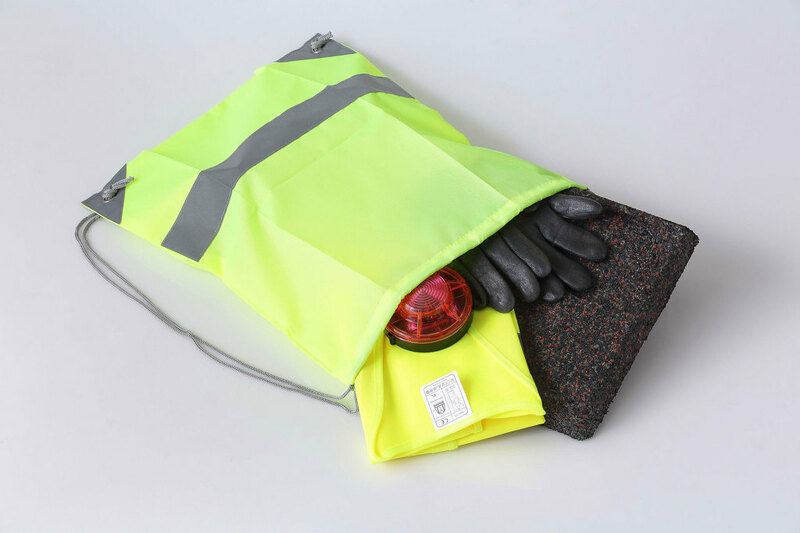 Storage Reflective Bag – The complete kit is stored in our special reflective bag. The bag can be used as an emergency warning flag or to store additional items in a secure way. Safety Gloves – Keep you hands safe from scrapes and abrasions with our comfort grip gloves. Nitrile Foam Coated, Oil Resistant, Excellent Dexterity, Maximized Tactile Sensitivity. Logos – For special orders and corporate accounts we can add your logos in the Safety Vest and Storage Box. We are firmly committed to standing behind each of our products and are constantly trying to make them better. If you ever need any help with our products, please contact us by phone at 787-807-0010 or send us an email at info@sofscapecaribe.com.